The choices that impact people on a global scale should be decided by the people of the world. Nationalism is rising, but is it here to stay? 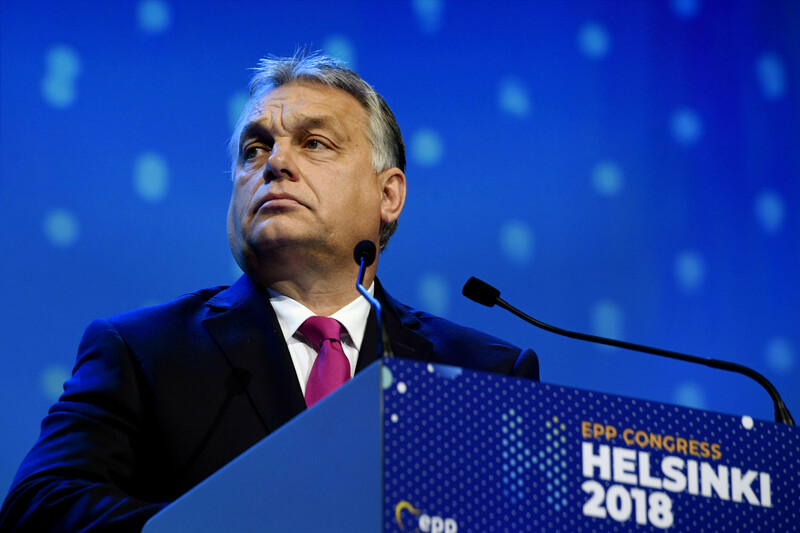 The election of right-leaning leaders across the globe has been a striking feature of the past year, with far-right factions across Europe, especially in Italy, Poland, and Austria, gaining traction. According to a poll by Pew Research Global, more than 50% of citizens in Nigeria, South Africa, Israel, Indonesia, and Hungary want fewer immigrants coming to their country, with Greece topping 82% – showing that this isn't just a political theory among those wielding political power. Nationalism is no longer a passing phase: it is now a fixture of our contemporary politics. And like anyone in mourning, people whose disagree with it are lost, figuring out how to deal with the supposed death of liberal democracy. While walls not bridges dominate political sentiment and policy choices, in many places the “other 50%” are not being represented: the US citizens who voted for Hillary Clinton and the British citizens who voted to remain in the European Union, for instance, are at best disheartened and at worst powerless. The trouble with rising nationalism is its ability to mask the gains of globalisation and the values of the human rights agenda, both of which are losing currency as fast as Bitcoin. Firstly, when inclusive, the free market enabled the sharing of information and technology and the movement of labour across borders, and had huge impacts on poverty. Trade has led to higher living standards in Asia and elsewhere. Some say nationalism is an inevitable bite-back, but this is not due to failed globalism: it is due to a globalism that didn't achieve its promise and potential for all. Secondly, it was collaboration, compromise and coexistence that brought us the adoption of the UN’s Universal Declaration of Human Rights seven decades ago, which laid the foundations for peace and prosperity. These values are now under threat. In the road ahead, one fork leads to a world where the next generation of political leaders follow suit, adding up the electoral equations, accepting that nationalist agendas are the route to electoral success, and join the political bandwagon cementing an age of “me vs the rest of the world”. Historians could write of the 2020s as the decade where the ideas to dominate economics and politics were isolationism, protectionism and nationalism. There has been no end of history, as first postulated by Francis Fukuyama, but instead a repeat. The other path offers hope to those who believe in the values of freedom, universalism and humanity. To build this pathway necessitates a counterweight to nationalism with the power to move mountains, a globalist movement built and backed by a diverse and inclusive group of pioneers – not just those who want to protect their power but also those who have much to gain from the global market, human rights and the tackling of the world's most pressing problems. This alternative new generation of leaders back a globalist agenda that works for all, leaving nobody behind. The question is, which path will we venture down? What is needed, in a phrase, is “democratic globalism”. Democratic globalism is the idea that the choices that impact people on a global scale should be decided by the people through global votes for global representatives, global votes on global issues, and accountability to citizens. It is the next evolution of democracy in a connected world. Democratic globalism is an idea founded on the premise that we are all connected, and therefore need forms of common governance. At its core, democratic globalism is about taking back control, and ensuring the world is run by the people. This has to be an agenda owned by the common person – not an elitist cabal of politicians or a fringe group of political theorists. 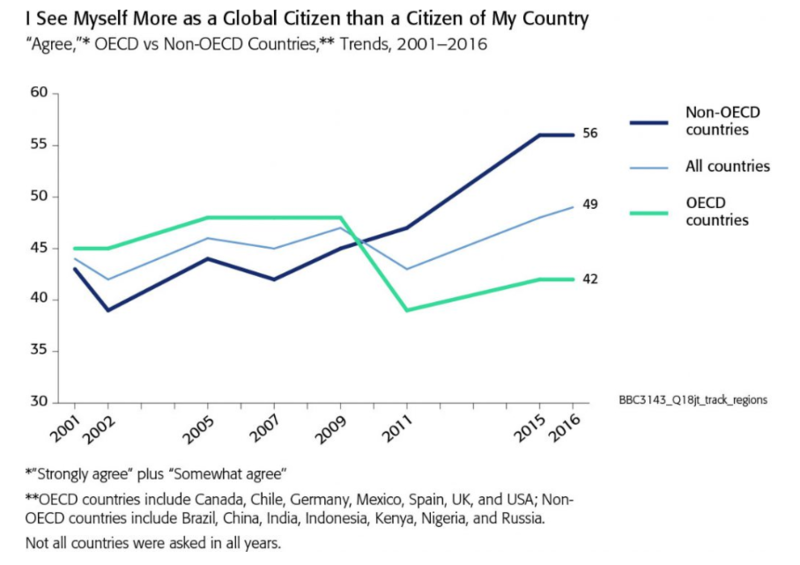 The prospect of a global voting arena becomes more realistic in a context where polling by GlobeScan found that 56% of people in emerging economies saw themselves first and foremost as global rather than national citizens. Many say that more work in local communities that backed nationalist agendas is vital – in places like Hartlepool, England, and Roberts County, US – to fulfil the promises of globalisation and counter its failures. Democratic globalism is not against this: it is entirely separate from the localist and devolution agendas. Many forms of governance at different levels are needed to address different matters. Democratic global governance is not something that would deal with, for example, the collection of rubbish or the recruitment of local schoolteachers. Its purpose is to base decision-making on pressing global issues on a one-person one-vote system. Others say it would be wasteful to build a movement aimed at evolving democracy when democracy is – in their opinion – dying. However, in many ways, the populist surges are the sign of a healthy democracy: just because results don’t reflect one’s own opinion, it doesn’t mean the system itself is under threat. The way to respond is to provide a new movement, built on humanist values, and win through democratic processes. Democratic globalism is the inevitable next stage in democracy’s evolution, and could be made possible in conjunction with a truly inclusive globalization 4.0. The real challenge lies in places where freedom and democratic ideals are but a dream. Finally, some maintain that these are matters for individual nations to deal with, and that only they should have the power to address the needs of their constituents. But just look at the recent failure of an alliance of nine countries – including Argentina, Belgium, Brazil, Canada, France, Ireland, Latvia, Singapore, and the United Kingdom – to bring Mark Zuckerberg to London to answer questions to lawmakers. It's yet another example of the inability of even combined nations to hold global companies to account in the interests of their citizens. Hungarian prime minister Viktor Orbán, head of the national-conservative Fidesz party. Democratic globalism is needed today due to our more connected existence, and to 21st-century issues that demand global action. As the author and campaigner Simon Anholt argues, we are often subject to changes in world events without being able to have a say: what happens in Silicon Valley and Zhengzhou impacts people in Manila and Iowa. The question is, how can citizens begin to have their say on what affects them? The 2018 Intergovernmental Panel on Climate Change report reminded us of the need for global cooperation and action, while the Fourth Industrial Revolution has opened new frontiers of civic rights in the digital and biotech spaces in the form of data privacy, AI and automated industries. Whether driven by ByteDance or Google, these are global issues that demand an international human perspective and response. History has taught us that, when nationalism is left to rise without accountability or a counter-force, terrible things can happen. Big data, connected devices and digital tech are enablers for democratic globalism, and make possible the next evolution of democracy (so long as those unconnected to the internet are also granted access). The nation-state, globalisation and democracy - a solution for all. Decision-makers at the highest levels have the power to change things through decisive action. It is up to them to decide how they act as global citizens as part of the new purpose-driven capitalism. Social justice can't be hacked – there are no shortcuts. People aren't stupid: they can tell a faker like a Photoshopped image. What we need, to counter the rise of nationalism and charismatic populists, is a genuine global democracy that operates across borders, and in which everybody can participate. Alvin Carpio is chief executive of the Fourth Group. Its new initiative, United Citizens, is a membership organization established to enact democratic globalism.